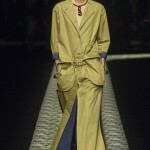 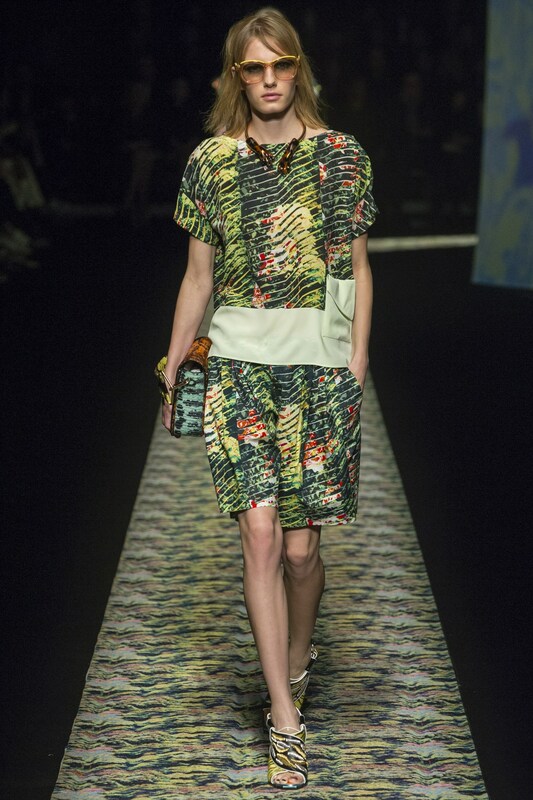 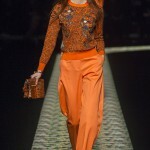 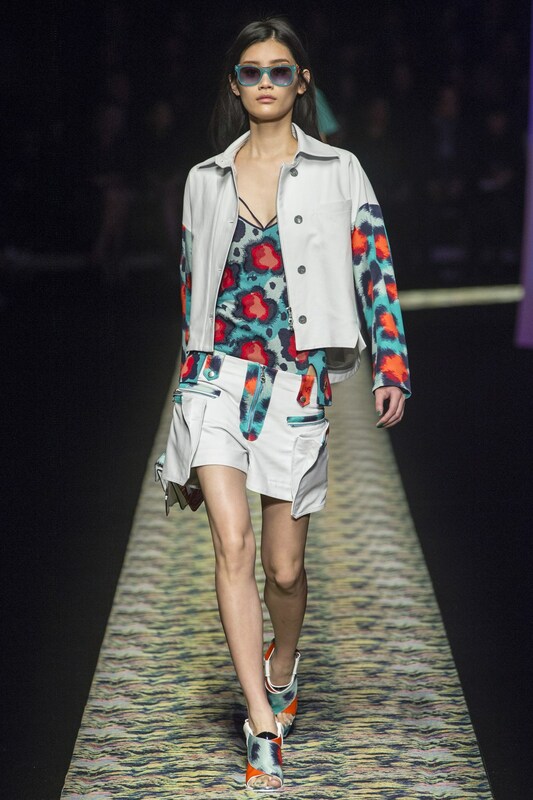 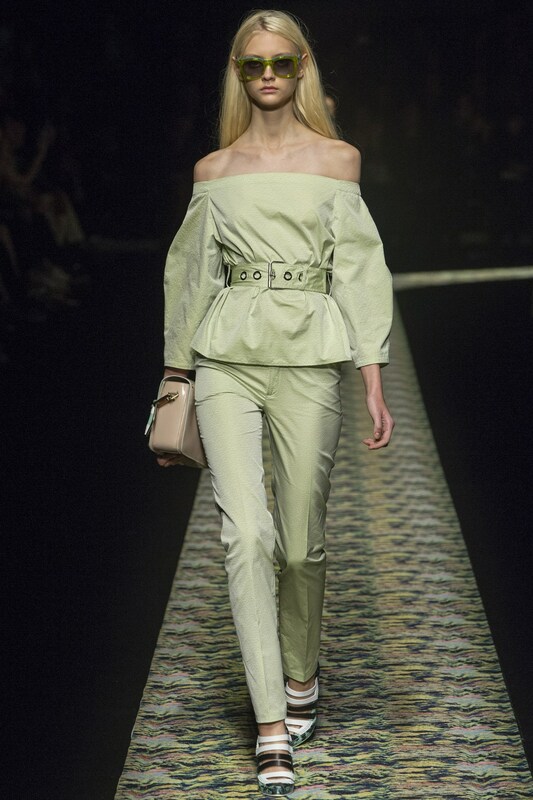 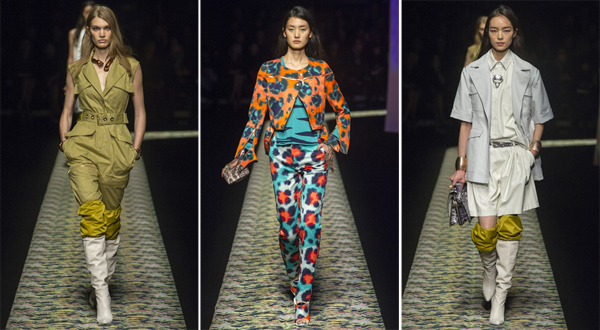 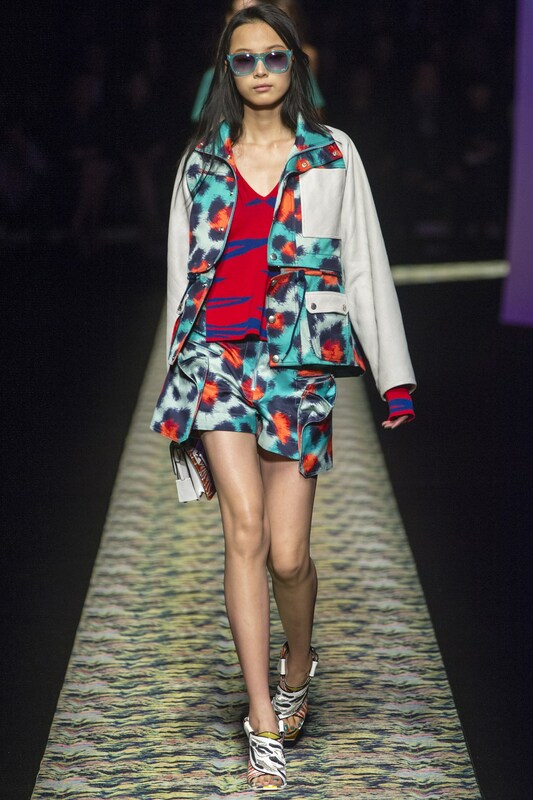 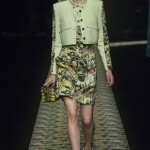 Kenzo presented its spring summer 2013 collection during the Paris Fashion Week 2013. 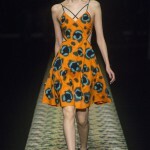 Brand addictors could see the fresh approach to fashion by Kenzo since the brand is being operated by the new minds like Humberto Leon and Carol Lim that followed Antonio Marras’s. 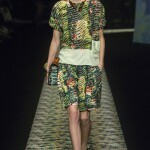 They managed to bring the totally new feel to the brand’s apparel without stepping aside from the brand signature style. 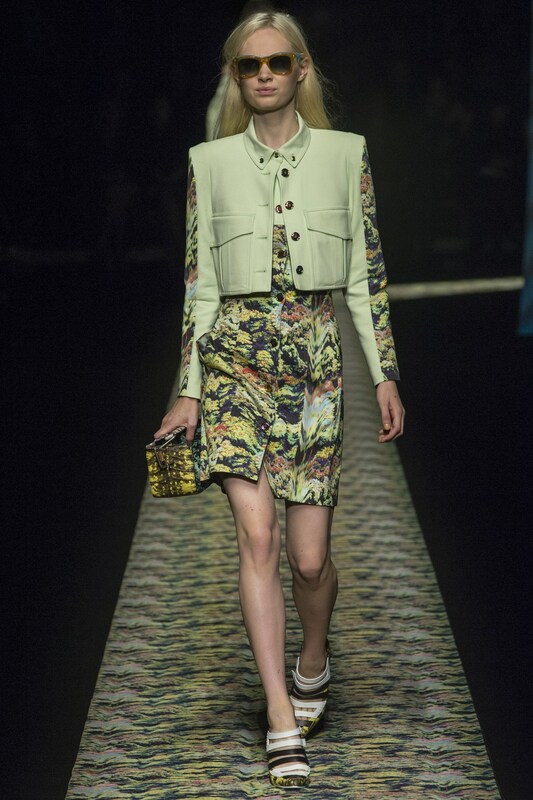 The spring summer 2013 collection by Kenzo features safari-inspired suits, dresses and trench coats in the khaki hues, bustier tops with the original patterns worn with the trousers, off-the-shoulder dressed complemented by the thick belts, parka and biker jackets in trendy mint color and finally the tiger jumpers that already became the brand’s signature element. 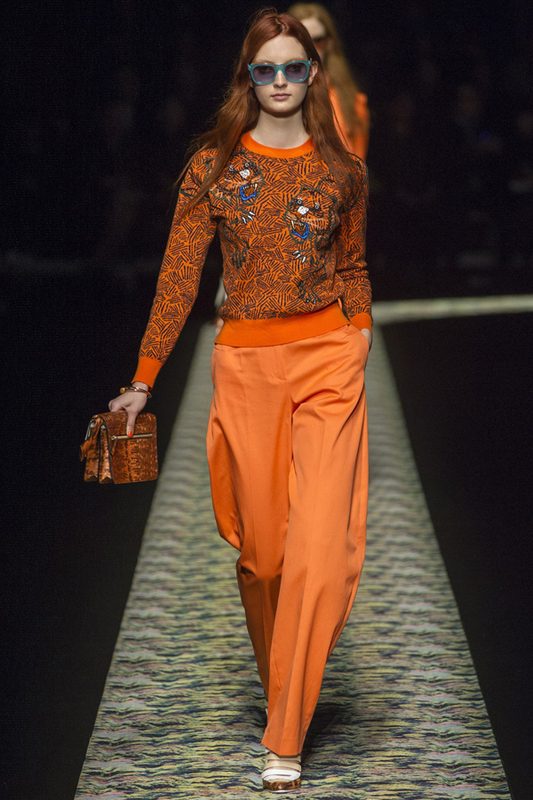 This time the tiger jumper was concealed and the only thing that disclosed it was the jewel eyes. 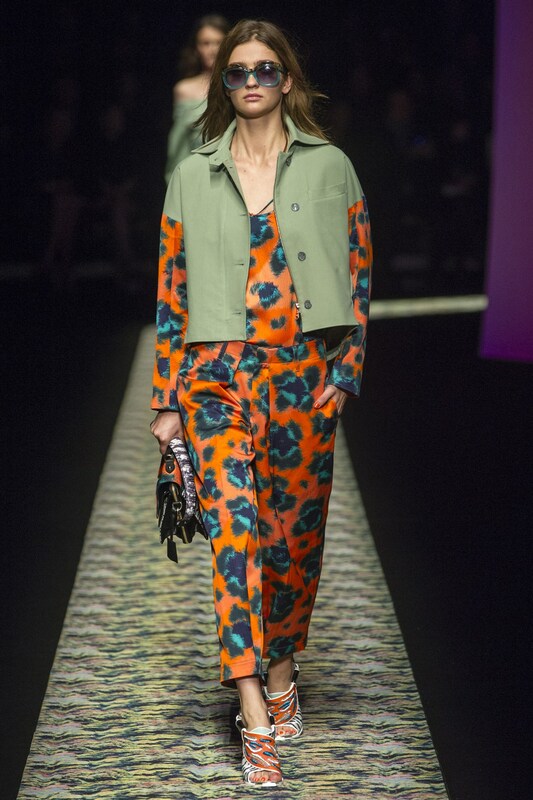 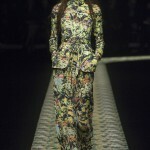 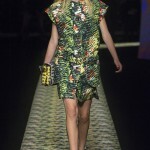 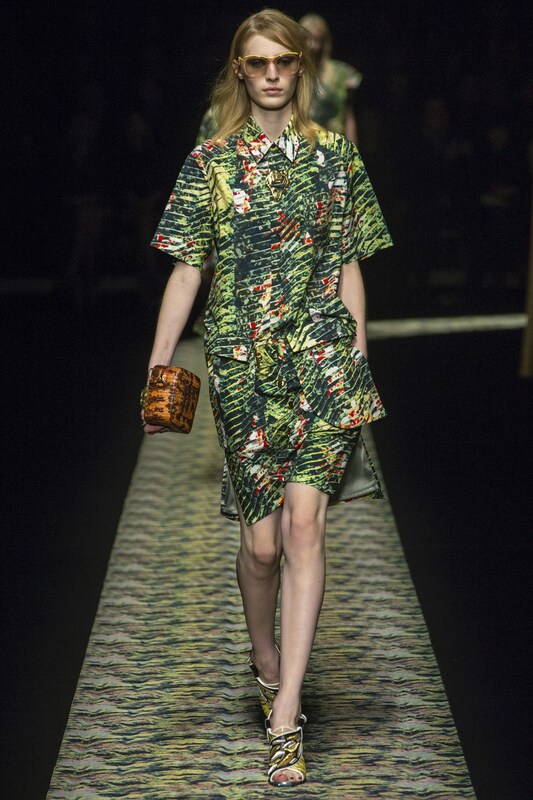 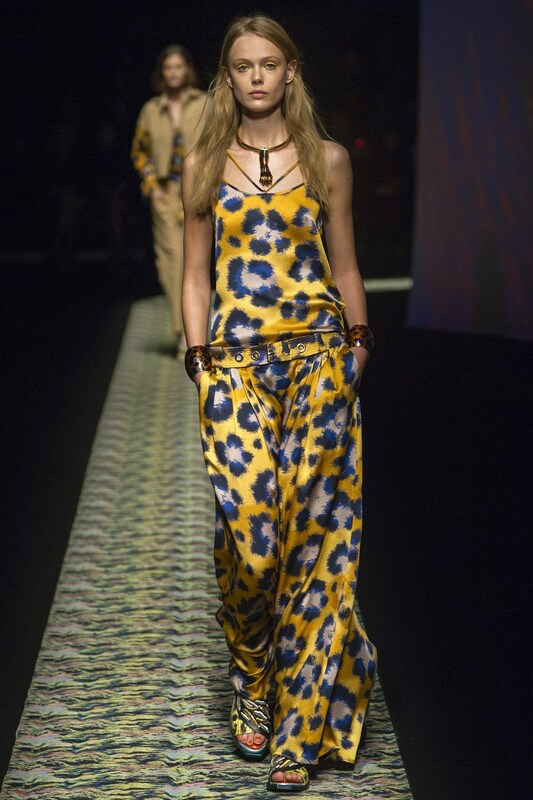 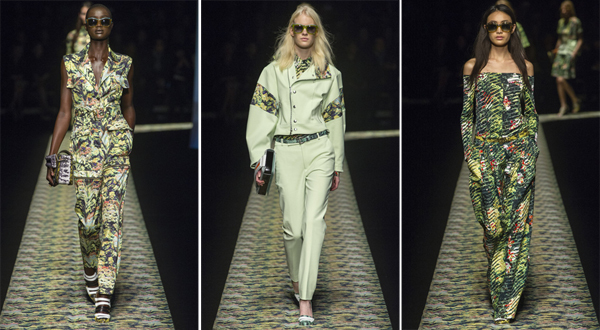 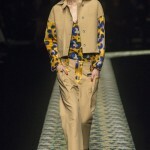 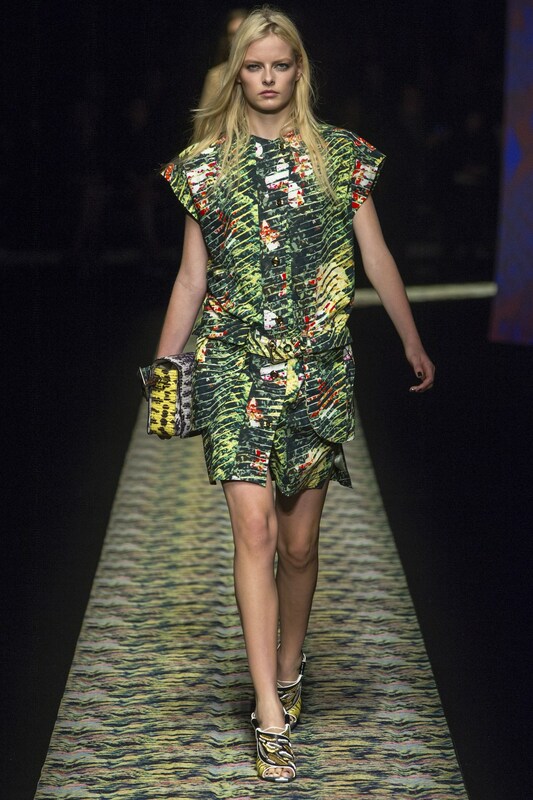 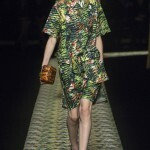 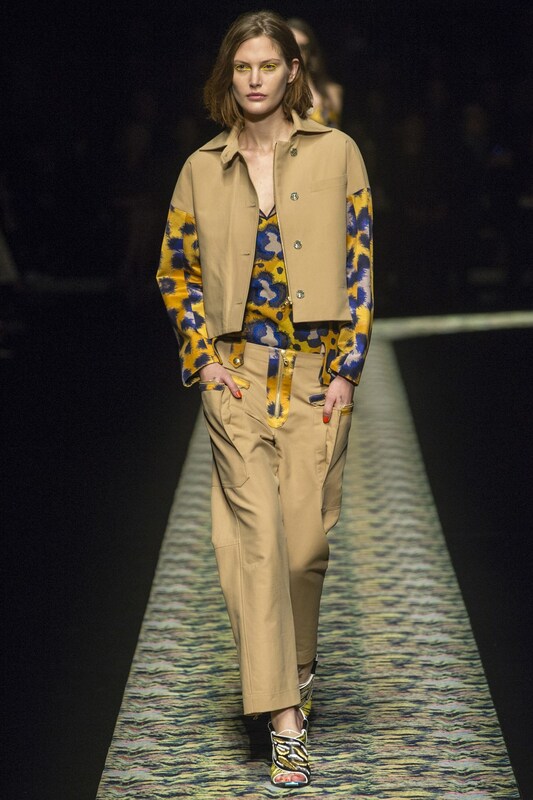 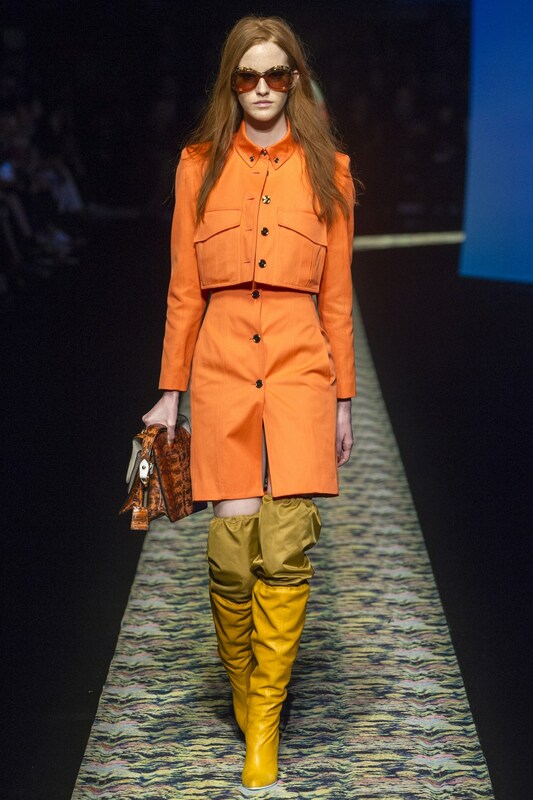 It also appears throughout the collection on the safari prints and 70s’-inspired items. 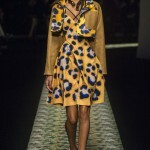 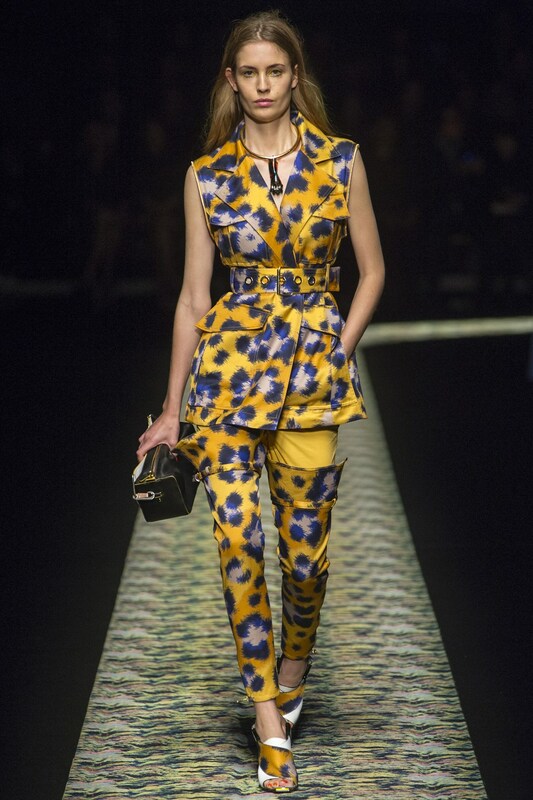 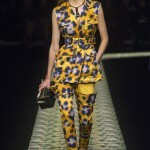 For instance, the camouflage leopard print in blue and yellow hues, which later appears in green and orange. 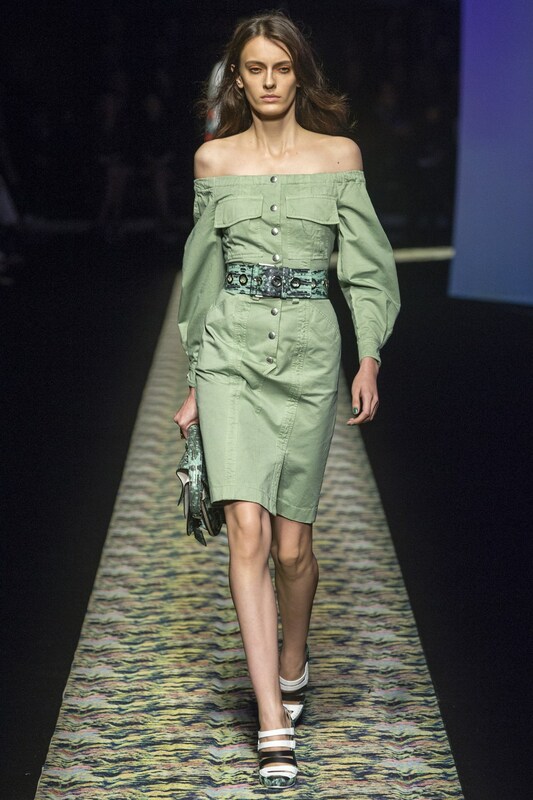 Those who seek for the romantic apparel with the urban feel could consider the off-the-shoulder dresses that look both effortless and chic. 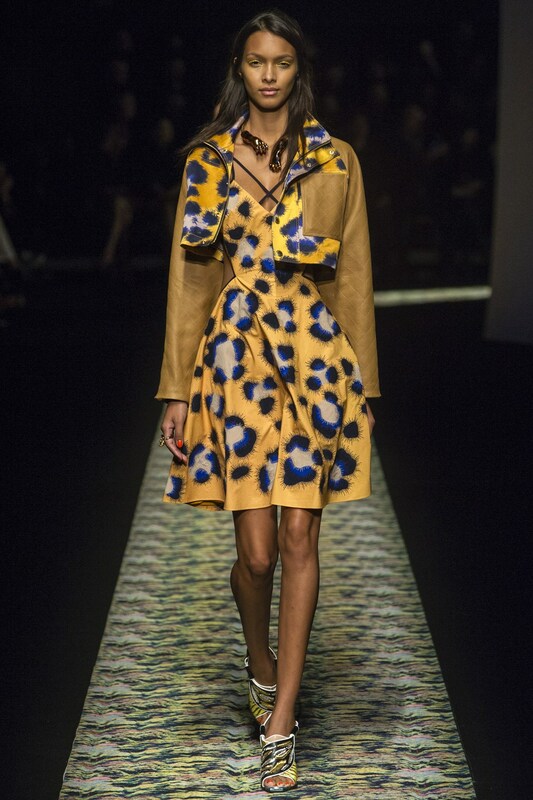 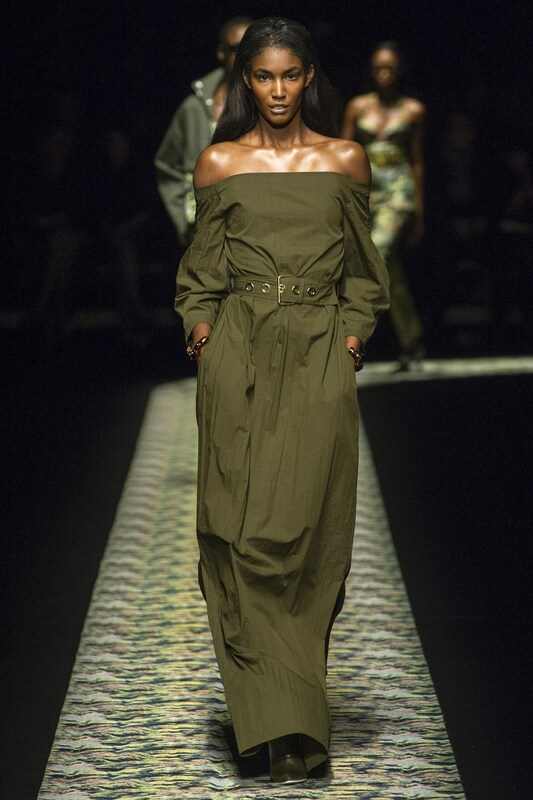 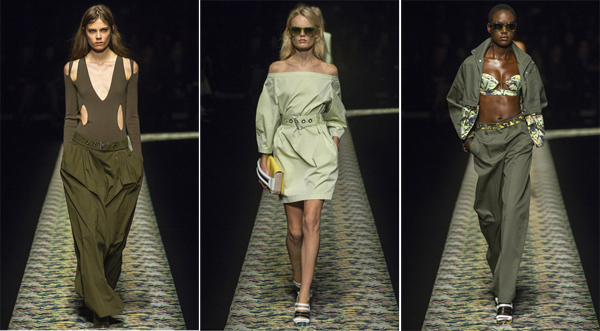 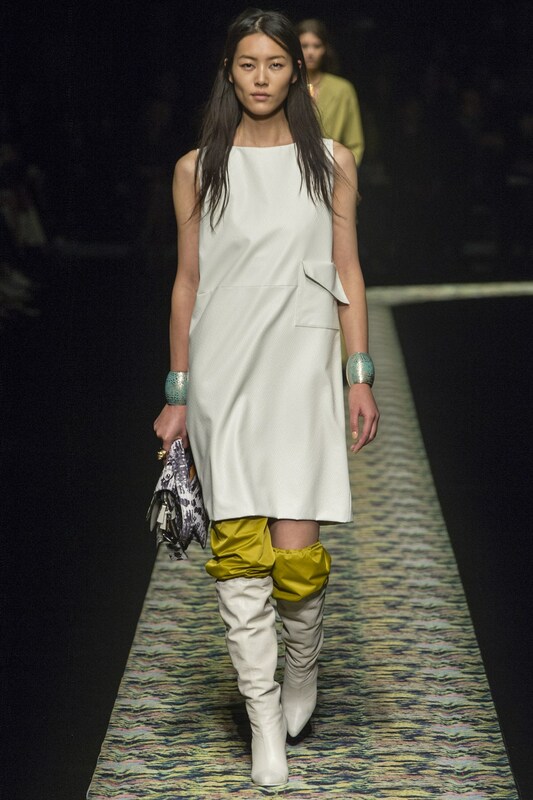 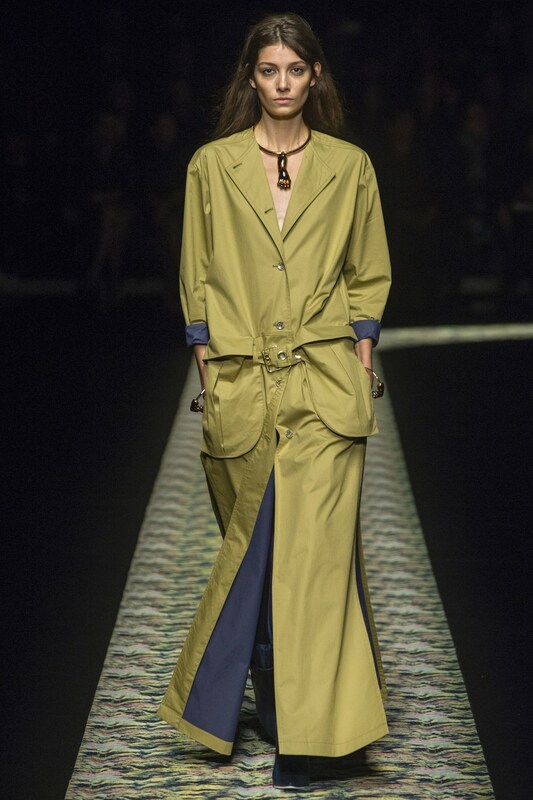 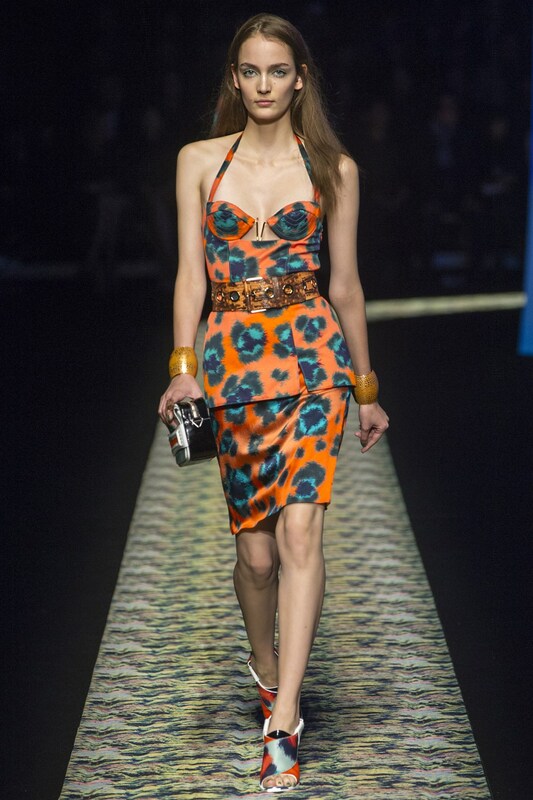 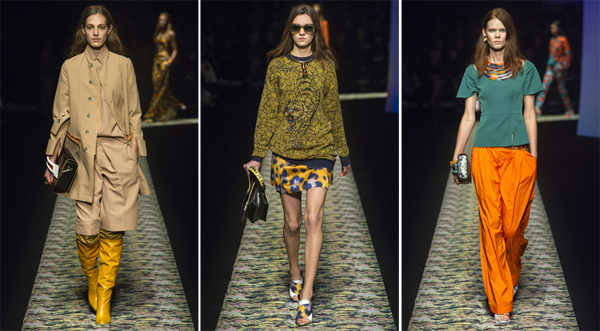 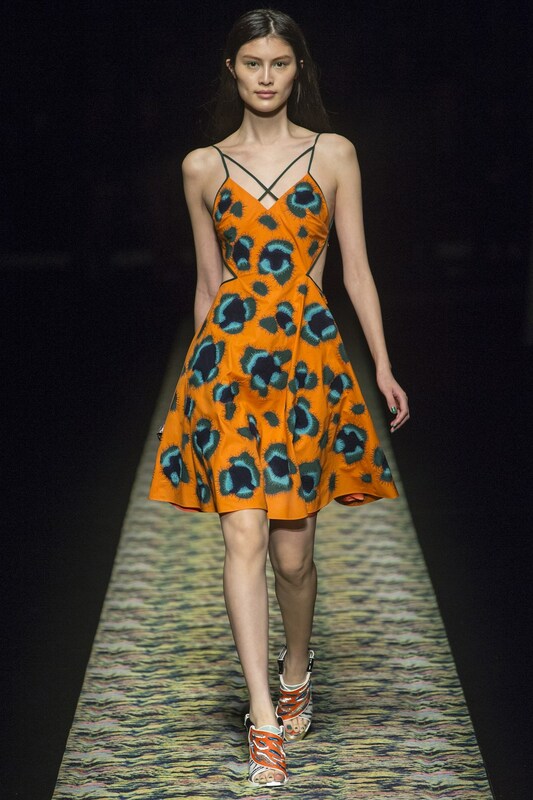 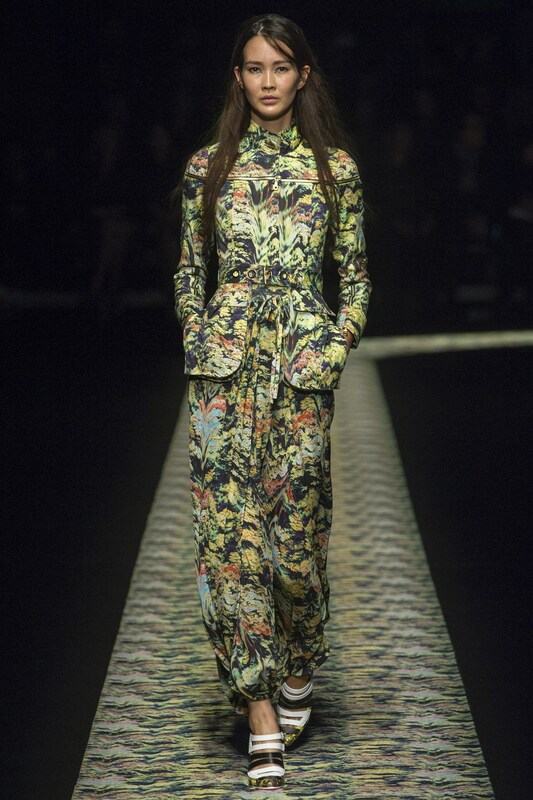 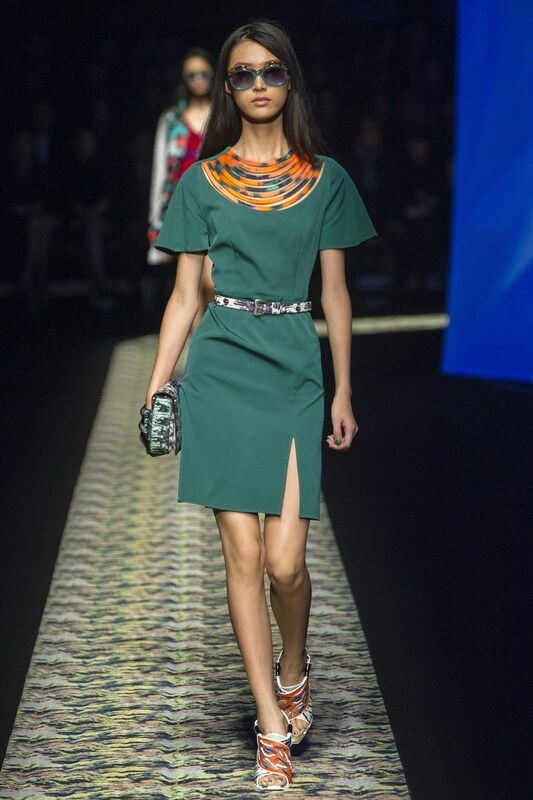 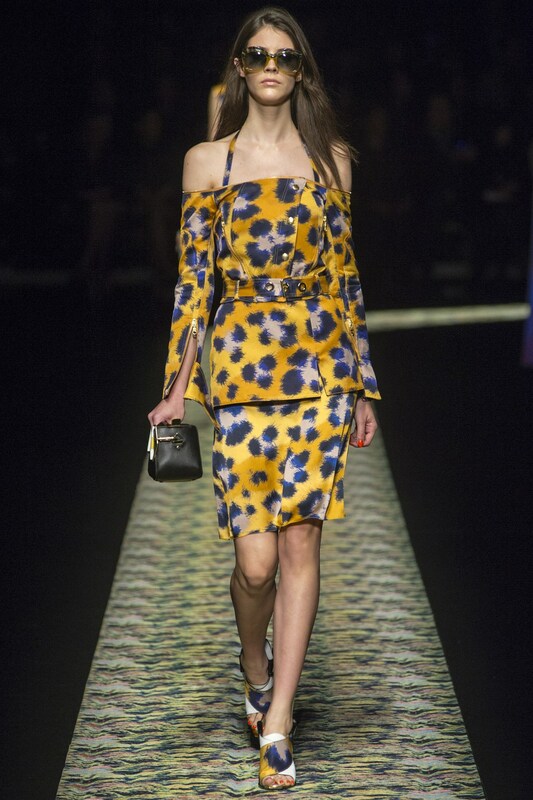 These dresses were also performed in accordance with the Kenzo signature style.